Mobile applications are changing how businesses of all shapes and sizes get work done. And we want to help more enterprises develop native Android applications that make employees more productive than ever. That’s why SAP is launching the new SAP Cloud Platform SDK for Android, which allows developers to create native Android apps, based on SAP services, directly in Android Studio. This SDK builds on our existing SAP partnership and delivers more features and a superior user experience than SAP’s previous offerings for Android. “By working closely with Google to combine the powerful capabilities of SAP Cloud Platform together with the global reach of the Android operating system, as well as allowing users to build native Fiori apps on Android, mobile workers everywhere will benefit from the new SDK for Android,” says Bjoern Goerke, President SAP Cloud Platform and Chief Technology Officer of SAP SE. “We see a great opportunity to extend the partnership between SAP and Google to help developers build rich, native Android apps, based on SAP Cloud Platform, SAP’s enterprise Platform as a Service." As a part of this effort, we collaborated closely with SAP to align design patterns from Fiori, SAP’s user experience for enterprise software, with Material Design. The result is SAP Fiori for Android and the Fiori Design Language for Android, which provide a look and feel that combines the familiarity SAP users find in Fiori with design patterns familiar to Android users. 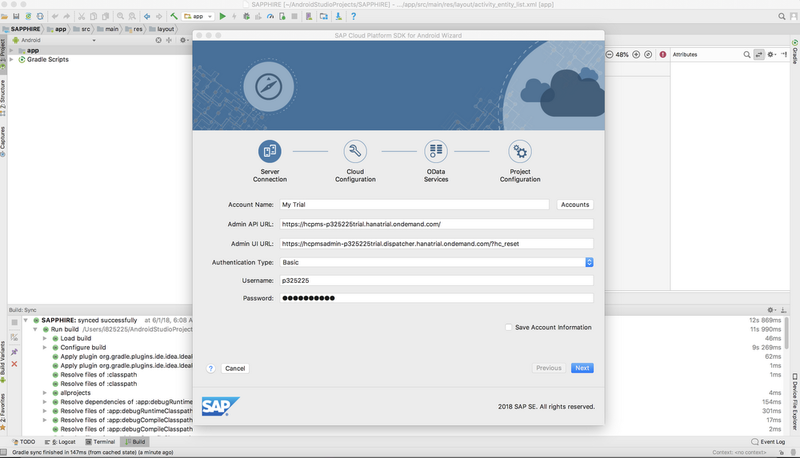 This collaboration also ensures key Android enterprise features—like managed configurations (app restrictions), Android management features like work profile, and security tools like SafetyNet—work well with Android apps built with the SAP Cloud Platform SDK. 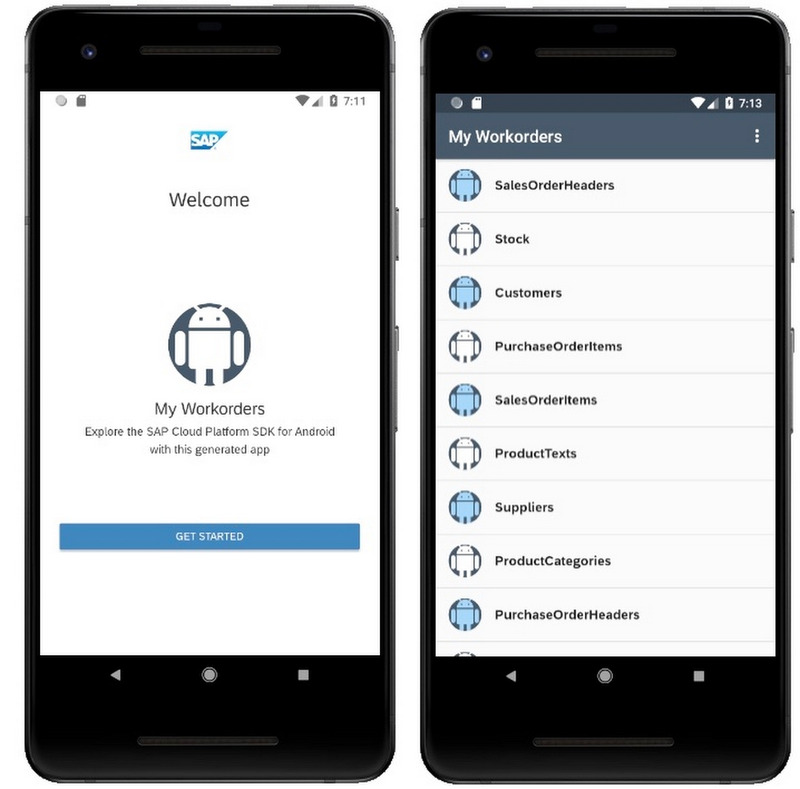 The SAP Cloud Platform SDK for Android empowers developers to build powerful applications for enterprises. The new SDK also streamlines the process for developers to start building apps that take advantage of SAP’s enterprise services. In addition to pre-defined UX tools, it incorporates key features like wiring to SAP platforms, push notifications, offline storage, diagnostics, and security tools directly in the SDK. The first app to use the new SDK is SAP Asset Manager for Android, which is being previewed at the SAPPHIRE NOW conference this week. Developers can use the SDK right in Android Studio. The release of the SDK is another example of SAP’s deeper investment in Android. In April, SAP released Android support for its micro app development feature SAP Mobile Cards, which makes it easy for users to find information at a glance and perform key tasks on the go. The Android SDK is one of several collaborations we're working on with SAP. You can check out the full list of SAP services available on Google Cloud, along with new services launched this week at SAPPHIRE NOW in Orlando. Google and SAP will be at the show to share more on this collaboration. If you want to hear directly from our team, you can find us at the SAP Leonardo Campus Design Experience area in booth LE 504, the Google Cloud booth in booth 370, and presenting at several conference sessions. You can also catch us at Droidcon Berlin on June 26 and 27. In the meantime, learn more about the SDK at SAP’s blog.